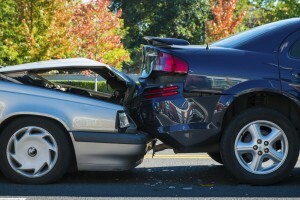 Who is at fault in a California rear-end accident? Who is responsible for the rear-end accident in California? In almost all cases, the person who struck the rear of the car in a rear-end car accident is at fault for the crash. Very simply, traffic laws state all drivers should stop safely when the car in front of them slows down or comes to a stop, regardless of the situation. As Orange County auto accident lawyers, we understand that all cases are different. However, there are some limited situations in which the striking driver is not at fault. For example, if you are in a vehicle which was struck from behind and that collision caused your vehicle to strike the car in front of you, you may not be at fault for that accident. You should hire a an Orange County auto accident lawyers in such cases. It is important to understand that California uses the comparative negligence system. This means the court understands that a driver can be partially at fault for an accident, and an injured victim may claim a percentage of damages based on what their exact involvement was in the crash. For example, if you rear-ended a car, but the other driver was drunk or suddenly swerved into your lane in front of you, you could still attempt to file an injury claim. After a rear-end accident in California and a serious injury, you may want to discuss your case with a personal injury attorney even if you have been told that the accident was your fault. The experienced Orange County auto accident lawyers at Russell & Lazarus can review the details of your case to help you determine whether you could be eligible for compensation. To schedule your free, confidential case evaluation, call our office today, toll-free at (800) 268-9228.